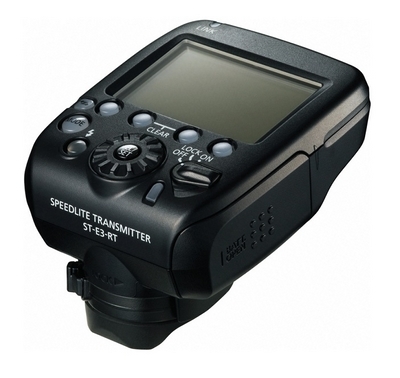 The first camera manufacturer to integrate radio-based triggering in their flashguns, Canon have unveiled the Speedlite Transmitter ST-E3-RT and Speedlite 600EX-RT. Sending information via 2.4GHz signal rather than infrared, the new system can operate at up to 30 metres even in bright sunlight and without line-of-sight. The Speedlite Transmitter ST-E3-RT is an E-TTL II commander unit that sits on the hotshoe of your Canon DSLR, powered by two AA batteries. It has a full LCD screen and can control up to 15 remote devices. These can include the new 600EX-RT flashgun or a remote Canon camera connected to a second ST-E3-RT unit. Unfortunately there is no autofocus-assist lamp. The device is weather sealed “to the same degree as professional EOS cameras”. Since Canon is using the universal licence-free 2.4GHz frequency, in common with many third party triggers, the same models can legally be distributed worldwide, unlike PocketWizard which must make a different version for each market. 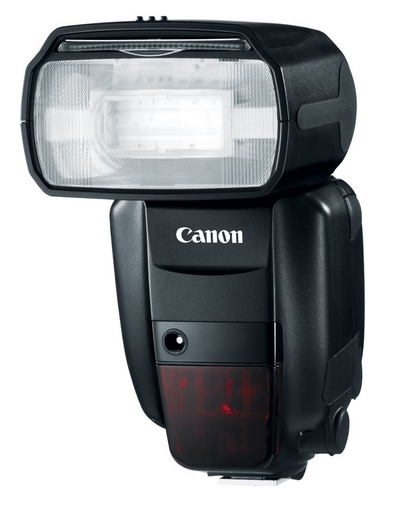 The 600EX-RT is Canon’s latest flagship Speedlite with wireless triggering built in. It can act as a slave or be master to up to 15 remote flashes and cameras. The old infrared system can still also be used. As a remote flash, the 600EX-RT can be put into one of five groups when triggered by radio or one of three groups using infrared E-TTL II. The guide number (GN) is 60 (at 200mm zoom setting), adjustable down to 1/128 of full power in 1/3 stop levels. The flash head tilts, swivels and zooms from 14-200mm. At full power, the recycle time is 3.3 seconds. The Canon RT system is slated to be ready at the end of March at the following prices. Could Canon’s announcement make third-party TTL triggers such as the PocketWizard FlexTT5, Pixel King and Phottix Odin redundant? Let us know your thoughts below.